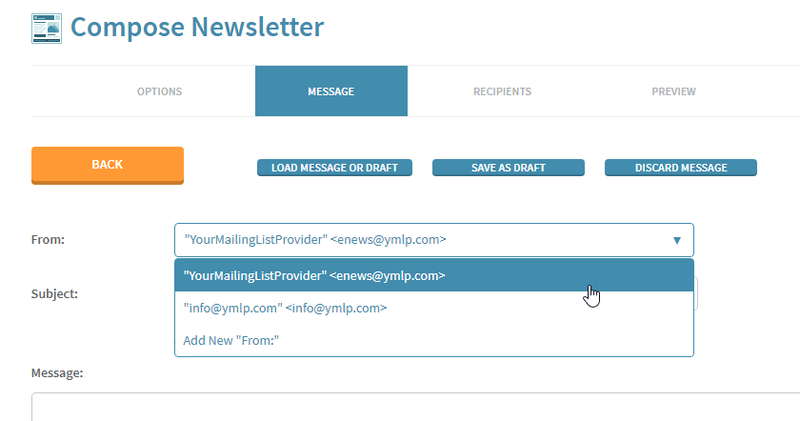 Choose "Sending Newsletters" under the "Configuration" tab to configure From: sender names and email addresses. You can set up as many different From: identities as you want. On the "Enter Message" step of the "Compose Newsletter" wizard, you can then choose which From: to use in the From: drop down box.